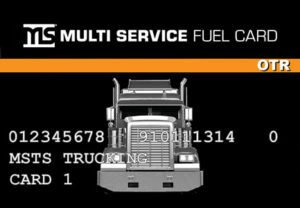 Designed for over-the-road long-haul drivers who primarily fuel at truck stop-style locations near freeway interchanges, the Multi Service OTR Card is your answer for any Class 7-8 vehicles in your fleet. 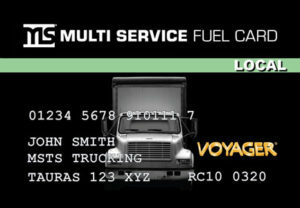 The Multi Service LOCAL Card is your answer for any Class 1-6 vehicles in your fleet (vans, cars, trucks, etc.) that require fueling (gas or diesel) at service stations or convenience stores in the area you service.